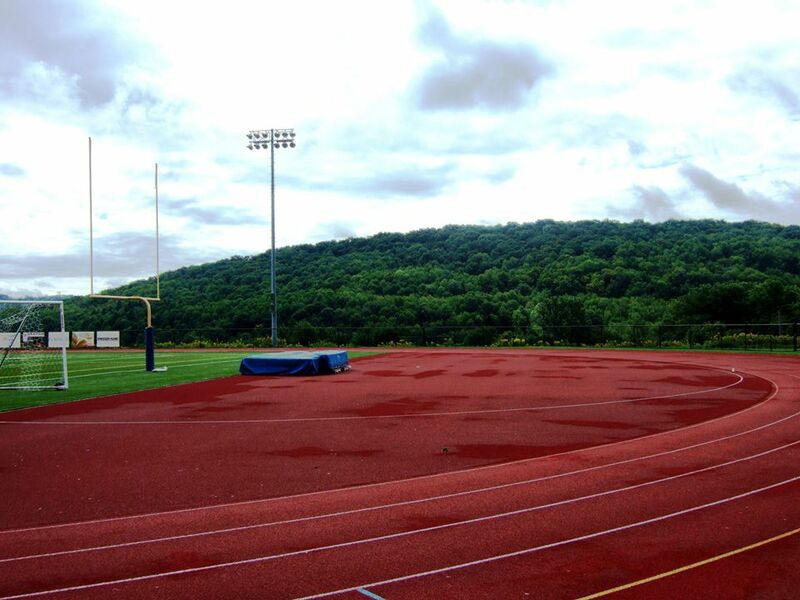 Here in the village of Alfred, New York, those of us who like to walk can often be found on the Alfred State College track. Situated on a high elevation , the track affords a panoramic view of the surrounding wooded hills. Designed though it was for athletic competition, the track is also an excellent venue for walking meditation. 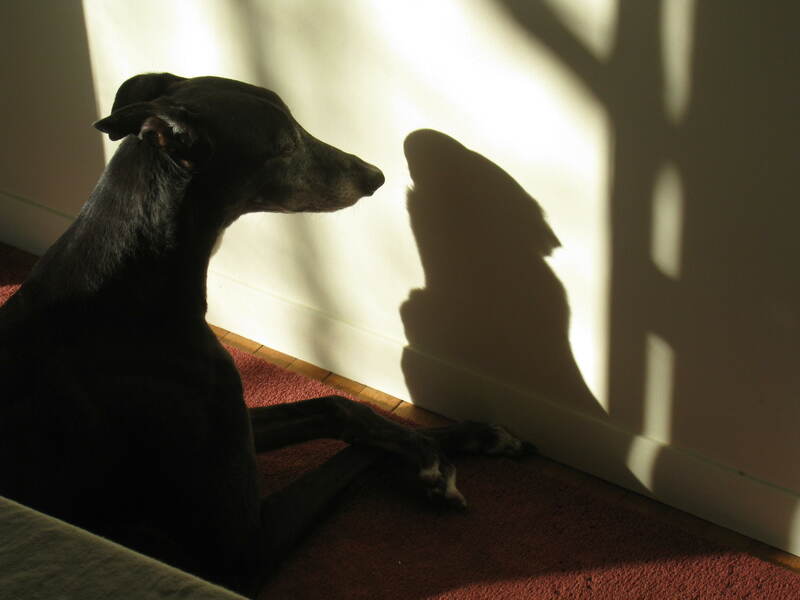 When greyhounds race on a track, they chase an artificial rabbit. Mistaking that furry object for the real thing, they pursue it with all their might. During a recent greyhound race in Australia, however, a living, breathing rabbit wandered onto the track. Spotting that hapless creature, a greyhound named Ginny Lou took off in hot pursuit, leaving the other dogs to their delusion. Apparently, Ginny Lou could distinguish between the illusory and the real, and she chose to pursue the latter. To make that distinction is also the work of the Zen practitioner. And to reconnect us with our actual lives is a defining aim of Zen meditation. The poet Czeslaw Milosz once described the art of poetry as the “passionate pursuit of the Real,” and much the same might be said of Zen practice. During the course of a day we might expend the bulk of our energy chasing artificial rabbits, but when we are practicing Zen meditation, we are pursuing the real one: the moment-to-moment reality of things as they are. That pursuit often begins with the body. The Sutra on the Full Awareness of Breathing, a foundational text for Zen students, directs the practitioner to recite, “Breathing in, I am aware of my body // Breathing out, I calm my body.” In keeping with that prescription, the contemporary Zen teacher Zoketsu Norman Fischer advises us to begin a sitting by sweeping our awareness lightly through our bodies. “The point,” he explains, “is to arrive in the body, to be aware of the body as sensation and process, to ground [ourselves] in the body as basis so that thought and emotion don’t fly too far afield.” * In similar fashion, Zen master Thich Nhat Hanh directs us to bring compassionate awareness to the various parts of our bodies, including our internal organs: “Aware of my lungs, I breathe in. / Smiling to my lungs, I breathe out. / Aware of my heart, I breathe in. / Bringing kind attention to my heart, I breathe out.” By such means, we return to our bodies, grounding ourselves in our physical lives. Having established ourselves in that awareness, we can then turn our attention to our states of mind. In Zen teachings, mind and body are often seen as aspects of each other. 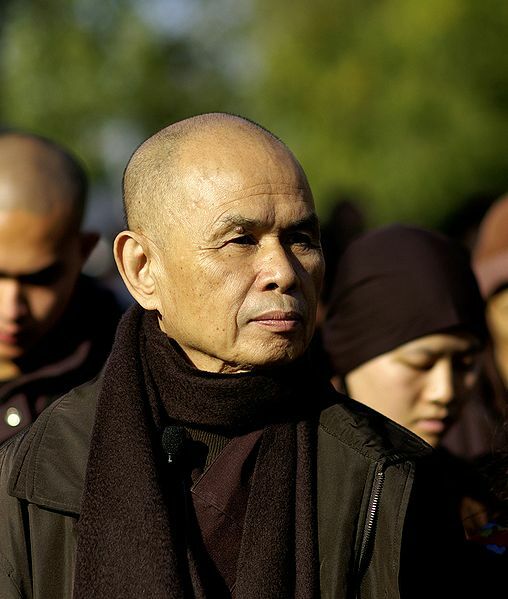 “What happens to the body,” Thich Nhat Hanh reminds us, “happens to the mind.” By being aware of the present state of the body—relaxed or tense, energetic or fatigued, balanced or imbalanced—we may already be aware of our present state of mind. To sharpen that awareness, however, we might ask ourselves, “What is my state of mind just now?” Or, more concretely, “Is my mind/body tight or loose?” Employing that classic analogy (which originally referred to the strings of a lute), we can then investigate the causes of tightness or looseness, identifying such specific states as craving, fear, or anger, on the one hand, or balance, elation, and equanimity, on the other. And as with awareness of the body, we can bring kind attention to whatever state of mind we may be experiencing, noting the effect of our awareness on our fear or anger, our craving or agitation. Artificial rabbits abound, as do encouragements to chase them. But as Dogen’s observations and Uchiyama’s commentary make clear, we can indeed develop another kind of vision, in which things appear as they actually are, not as our conditioning would have them be. Like Ginny Lou, we too can pursue the real. *Norman Fischer, Sailing Home (Free Press, 2008), 79. **Eihei Dogen, Tenzo Kyokun (Instructions for the Cook), q. in Kosho Uchiyama Roshi, How to Cook Your Life: From the Zen Kitchen to Enlightenment (Shambhala, 2005), 47. Few of us Westerners do, including those of us who practice Zen meditation. “Zazen,” writes the Soto master Kosho Uchiyama Roshi, “enables life to be life by letting it be” (1). And Shunryu Suzuki Roshi, author of Zen Mind, Beginner’s Mind, advises us to “let things go as they go.” But how, exactly, are we to do that when practicing seated meditation? How much, if any, control should we relinquish, and when? Nearly all the manuals agree that the Zen practitioner should sit in a stable posture, knees down and spine erect, and pay attention to the breath. But should we regulate our breathing? Should we count our breaths or simply observe the flow of air as it comes and goes? Is it really necessary to hold our hands in the “cosmic mudra,” left palm resting in the right? Should we strive to silence our inner chatter—or allow it to continue? Answers to these questions may be found, but they vary according to the school and the teacher. Among those who advocate stern control, Japanese Rinzai masters occupy a pre-eminent position. Rinzai Zen has been likened to a “brave general who moves a regiment without delay,” and with few exceptions Rinzai teachers live up to that description. The renowned Rinzai master Omori Sogen Roshi advises the student to push the breath into the lower abdomen and “squeeze it lightly there with a scooping feeling” (2). Katsuki Sekida, another Rinzai teacher, directs the practitioner to narrow the exhalation by “holding the diaphragm down and steadily checking the upward pushing movement of the abdominal muscles” (3). Similar admonitions regarding breath, posture, and concentration resound throughout the Rinzai literature, lending a tone of rigorous authority. No need to be rigid about proper posture. The back lifts itself up spontaneously as the mind inquires, opens up, and empties out. It is intimately related to our varying states of mind. In experiencing pain, sorrow, anger, fear, or greed, the body manifests each mood in its own ways. In openness and clarity the body feels like no-body (5). Like those poets who view literary form as an “extension” (or revelation) of content, Packer views proper posture not as a form to be externally imposed but as an expression of an open, inquiring state of mind. (3) Katsuki Sekida, Zen Training (Weatherhill, 1985), 56. (4) Opening the Hand of Thought, 48. (5) Toni Packer, The Wonder of Presence (Shambhala, 2002), 17.
gaze at the world but leave the world alone. Do nothing; do nothing and everything will be done. Imre, a three-year-old friend of mine, delights in kicking things. When my wife and I gave him a set of educational blocks, of the sort that are supposed to develop eye-hand coordination, Imre took a few minutes to build a tower, then merrily kicked it across the room. Perhaps he was learning eye-foot coordination. Perhaps he has a future in the NFL. One morning, Imre’s mother invited us over for a Sunday brunch. As we and a few other grown-ups were tucking into a delicious custard pie, Imre decided it was time to run around the table, dragging his wooden train and yelling at the top of his lungs. It was difficult to hear ourselves think, let alone carry on a conversation. Fortunately, I’d come prepared. Earlier that morning, as I was pouring my Cheerios into a bowl, a blue matchbox car dropped out of the box. Foreseeing its possible use, I had stashed it in my pocket. 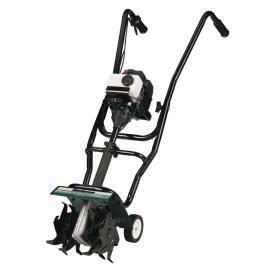 Armed with that equipment, I stopped Imre in his tracks. “I have a present for you,” I said, “but if you want it you will have to sit still for one minute”. Regarding me quizzically, Imre agreed to the deal, and for the next forty seconds, he sat more or less still, chuckling all the while. Apparently, sitting still struck him as a silly idea, but he was willing to go along. And having kept his end of the bargain, he received his car, which, he soon discovered, he could happily crash into the walls and furniture. I tell this story partly to illustrate that sitting still, however rare it may be in our culture, is something even a rambunctious three-year-old can do. If you are reading this column, you must be older than three, and you can do it too. However, if you are thinking that by doing Zen meditation you will receive an immediate reward, you may well be disappointed. It is true that even twenty minutes of zazen can leave us cleansed and refreshed. And over time, Zen practitioners experience such benefits as heightened clarity and concentration, sharpened intuition, and greater emotional stability. But to sit in zazen with goals and expectations is not only to invite frustration. It is also a sure-fire way to undermine one’s effort. In practicing Zen meditation, we sit still and return to the ground of being. We step back from our usual mental activities: defining, preferring, judging, or comparing this to that. Those activities may continue, but we merely watch them, and if we can, we drop them altogether. In so doing, we open ourselves to the experience of pure seeing, pure hearing, prior to names, goals, plans, and expectations. In the words of Zen master Kosho Uchiyama, we experience “what is there before [we] cook it up with thought.”* We enter the stream of life just as it is, not as we would have it be. That is not so easily done. A lifetime of Western conditioning militates against it. But for those who persist, the practice of zazen becomes its own reward. In the language of Zen, by forgetting the self and its endless expectations, we “awaken to the ten thousand things.” And whether those things be toy cars or custard pies, we see, hear, and taste them as never before. *Kosho Uchiyama, Opening the Hand of Thought (Wisdom, 2004), 30.